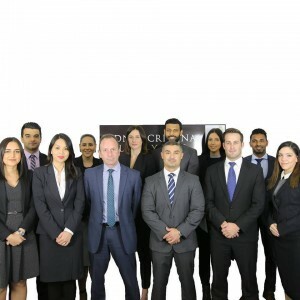 Posted October 22, 2018 by Sydney Criminal Lawyers & filed under Criminal Law, NSW Courts. At around 1.30 pm on 19 August 2015, Visheshwarajan Reddy was driving his utility in a southerly direction down the Hume Highway close to the Southern Tablelands town of Marulan. The driver was travelling from the Sydney suburb of Leppington to Canberra to visit his children. Five witnesses described the 32-year-old as driving at an excessive speed at the time. He was carelessly changing lanes and driving down the breakdown lane at times. Mr Reddy’s vehicle was travelling at a speed of around 110 to 120 kilometres per hour, when he smashed into the rear end of Ms Judith Fowler’s car. She suffered multiple injuries, including a fractured neck, four fractured ribs and a laceration to her scalp. A roadside breath test found that Reddy had a blood alcohol concentration of 0.29, which is almost twice the 0.15 threshold for high range drink driving. The offender admitted he’d consumed a litre of scotch beginning on the day prior and finishing at 5 am on the morning of the collision. In the Local Court, Mr Reddy pleaded guilty to one count of aggravated dangerous driving occasioning bodily harm, contrary to section 52A(4) of the Crimes Act 1900. The maximum penalty for this offence is 11 years behind bars. The offence was aggravated because of the high level of alcohol in Reddy’s system at the time of the crash. The offender appeared before Goulburn District Court for sentencing on 8 March last year. The court heard that despite his drinking problems, Mr Reddy was a person of “prior good character”, who had never offended before and had no prior traffic infringements. The Fijian national of Indian descent had studied and worked in IT. Although, he had been terminated from two positions in the past because of alcohol-related absenteeism. It was also heard that he’d separated from his wife just months prior to the incident. During the proceedings, Mr Reddy told the court he was sincerely remorseful. And he further explained that he had undertaken two residential rehabilitation programs to deal with his drinking over a continuous period of 8 months. The sentencing judge found that Reddy’s “moral culpability for his behaviour was extremely high”. His Honour sentenced the offender to 3 years and 5 months prison time, with a non-parole period of 2 years. This sentence factored in a 25 percent discount granted due to Reddy’s early guilty plea.  Mr Reddy appealed his sentence to the NSW Court of Criminal Appeal (NSWCCA) on 12 March this year. He did so arguing two grounds. The first was that the sentencing judge had made an error in failing to backdate his sentence to take into account the time he’d spent in residential rehabilitation prior to being sent to gaol as a period of quasi-custody. Mr Evers, the offender’s lawyer, put forth that although this point had not been raised prior to appeal, it seemed the sentencing judge hadn’t considered the issue appropriately, and he cited a number of earlier cases where this point was raised for the first time on appeal. The second ground was that the sentence was manifestly excessive. Mr Evers argued that as Ms Fowlers injuries had not resulted in permanent disability the offending shouldn’t have been classed as “extremely high”. And further, the initial sentence prior the 25 percent discount being applied would have been 4 years and 6 months. And this sentence, Evers argued, was too severe, especially considering this was Reddy’s first offence. NSWCCA Justice Stephen Campbell cited a number of cases where residential rehabilitation had been considered for the first time on appeal. His Honour noted that in Bonett v R it was found that while it might not be mandatory for a judge to consider quasi-custody during sentencing, in circumstances where evidence of it exists, the judge might be obliged to consider it. Justice Campbell detailed that the conditions at both rehabilitation centres required that Reddy’s freedom was heavily restricted. And he said was willing to uphold this ground of appeal, even though it was being raised for the first time during the current proceedings. But, his Honour dismissed the second ground of appeal. In considering the offender’s state when he was driving, the distance of the journey and the dangerous manner he was driving in, Justice Campbell found the sentenced was warranted. Prior to giving the orders, his Honour turned to Mr Reddy’s driver licence disqualification. Under section 205(2)(d)(i) of the Road Transport Act 2013, an individual found guilty of the offence that Reddy was convicted of automatically receives a 3 year driver licence disqualification. And this is what Judge Frearson ruled appropriate in Reddy’s case. However, Justice Campbell invoked section 205(2)(d)(ii) of the Act, which allows a court to determine a lesser period of driver disqualification. And his Honour said that due to Reddy’s progress with rehabilitation, the offender’s licence should be disqualified for a lesser period. His Honour ordered that Mr Reddy be disqualified from driving for an 18 month period. Justice Campbell set out that in factoring quasi-custody into sentencing, rather than reducing a sentence, a court usually backdates it. And the credit allowed for quasi-custody is about 50 percent of the time spent in pre-sentence residential rehabilitation. In Reddy’s case he’d spent 8 months in residential rehabilitation, so this allowed for his sentence to be backdated by 4 months. On 3 October this year, Justice Campbell set aside the sentence of the District Court. But, he then resentenced the offender to the same amount of time behind bars: 3 years and 5 months, with a non-parole period of 2 years. However, the sentence commenced on 8 November 2016, which was 4 months prior to the original sentence. NSWCCA Chief Justice Tom Bathurst and Justice Elizabeth Fullerton agreed with the orders.